Autumn offers a great time to visit the Tweed Coast as the weather cools down just a few degrees, making it perfect for exploring the beaches and surrounding hinterland scenery. Also with Easter just around the corner there isn’t a better way to celebrate than over a relaxing Tweed Coast getaway. It’s not too late to visit the beach! The Tweed Coast offers several fantastic beaches to explore, from Cabarita Beach to Kingscliff Beach and everything in between. These beaches are renowned for their golden sand, surf breaks, intimate setting, and surrounding picturesque hinterland, offering a relaxed beach experience that everyone can fall in love with. Whether you’re looking to enjoy a quiet picnic on the sand, try your hand at the surf breaks or soak up the sun, the Tweed Coast beaches are sure not to disappoint. As well as beautiful beaches the Tweed Coast offers lots of picturesque spots to visit and enjoy this Autumn, a true signature of the region’s lush hinterland. Visit Cudgen Lake near Bongangar Beach, and don’t forget to bring a picnic! This stunning lake is the perfect location to enjoy picnicking, fishing, bird-watching, canoeing, swimming, and more. Gaze out at the lake’s shimmering surface as well as the looming mountains in the distance whilst surrounded in lush tropical rainforest. Cudgen Lake is the perfect day out for families and couples. Take a relaxing stroll on the Tweed Coast! 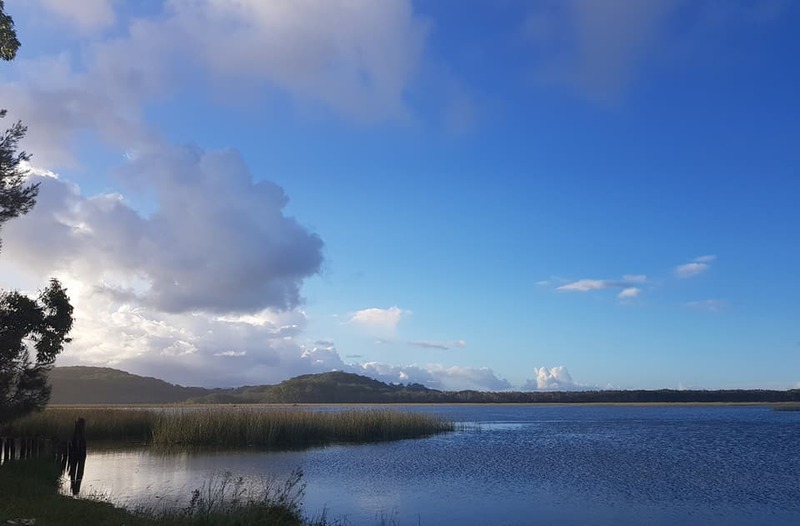 The Stotts Island Nature Reserve near Kingscliff is a fantastic spot to soak up the Autumn season, offering 350 acres of protected nature reserve to explore and absorb. The Stotts Island Nature reserve is a must for hikers, adventurers, and those that love to explore. Birdwatchers are also in for a treat with over 47 species of bird to be found living in the reserve. Our Cabarita Beach accommodation is the ideal opportunity to discover what makes the Tweed Coast so special. Located on the beautiful Cabarita Beach, our resort offers a prime location as well as the chance to take advantage of one of the Tweed Coast’s most popular beaches. With such a convenient central location at The Beach Resort, you’ll be able to explore and enjoy the Tweed Coast with ease.